A DVD ISO file is an image of an entire DVD that contains all the date on a DVD. Sometimes, you may want to extract audio from DVD ISO files so that you can play on your portable devices, media player, or edit them for sharing.This article will tell you how to convert DVD movie ISO to MP3 format. 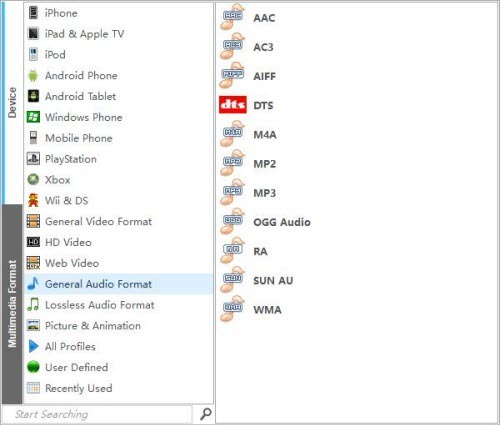 Now you just want to get the MP3 audio from DVD so that you can listen to it on your portable devices or media player or edit them. The thing is: How to convert DVD ISO to MP3 file? 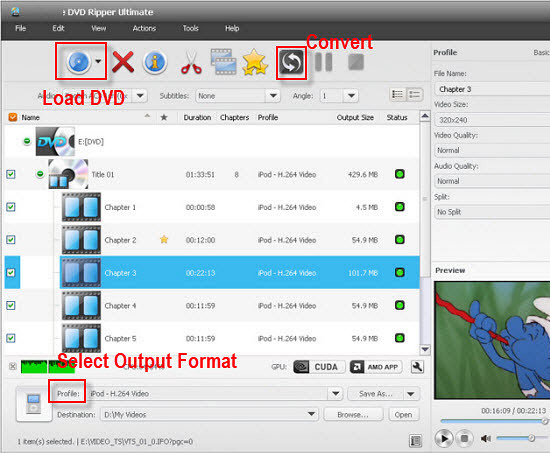 To convert DVD ISO to MP3, you can use UFUShare DVD Ripper Ultimate for Windows or Mac. It supports ripping ISO, DVD (Commercial CSS-protected DVDs included) and IFO files. With it, you can easily convert DVD ISO to popular audio format including MP3, etc. Besides, you can convert DVD to all popular video formats for playing on iPhone, iPad, iPod, etc. Insert DVD disc into your computer drive after running UFUShare DVD Ripper Ultimate. Load ISO files by clicking the “Add Files” button on the top left. If you have copied the ISO fils to local drive, you can also directly drag and drop them into the main window of this program. In this step, you will need to select the output format as MP3 and choose the output folder to save your converted MP3 files. When you finish all settings, simply click “Start” to starting converting DVD ISO to MP3 for playing on MP3 players. After the conversion if finish, you can get the output MP3 files from the designated output folder. Now enjoy the music as you wish! Just get the right version of DVD Ripper Ultimate and convert DVD ISO to MP3 on Mac and Windows (Including Windows 10) with ease!